Well, the search for the perfect black coat is finally over! Would you believe if i told you that i have been searching high and low for the perfect crombie-style black coat for a whole year. I kid you not. Twelve whole months of looking, quite frankly it felt like it may have been easier to find Venus de Milo’s arms! It started last winter, but to no avail. With every coat i fell in love with coming in at the £200-300 price mark it seemed finding a classic black coat was out of my reach. I had a price break of around £100, no more. It had to come to the knee, be lined, pure black of colour and of a nice quality. I’m not asking too much here am I? 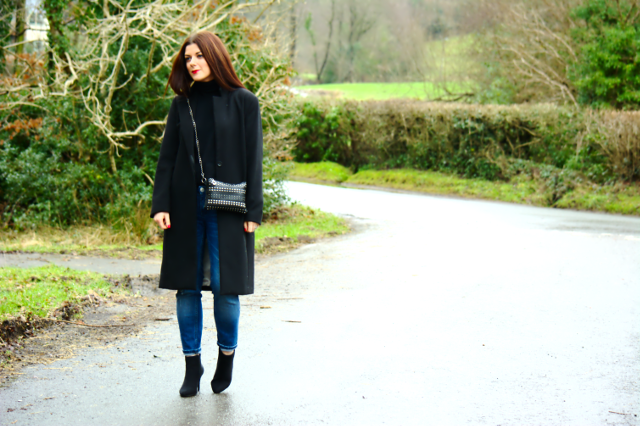 When it comes to the classic black coat, i wanted something that would stand the test of time. During my Adidas Gazelle hunt recently i found myself back at Zalando. The thing I love about this site is that you find things from brands that you would never have looked at had they not been on this multi-brand/department store type site. After finding the perfect navy blue Gazelles which i had searched high and low for, I thought I would see if they could deliver on the holy grail of black coats. The perfect length, lined, jet black crombie-style coat. Well I shall just eat my own words there as I absolutely adore my coat. See what i mean about multibrand websites? My eyes have been well and truly opened i tell you. I decided to wear it in the best way I know; Simple. Lately i am all about the simple classic clean lines and find myself leaning more and more towards that buzz phrase that’s around right now: The Capsule Wardrobe (more on that soon). 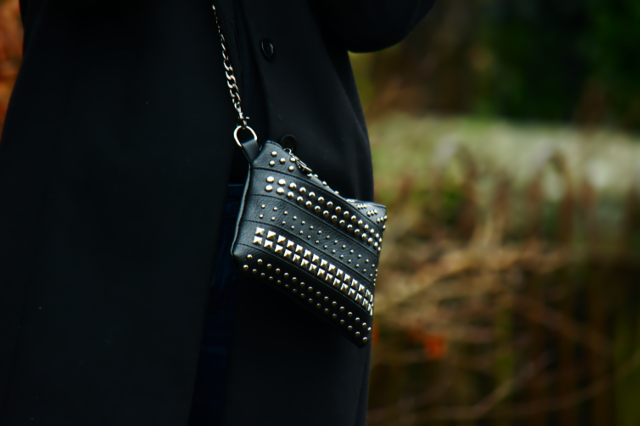 I paired it with my favourite distressed girlfriend jeans, a black polo neck knit, a statement studded clutch and finished off with a red lip. I think i could quite happily live in versions of this very outfit, in-fact lately I’ve been doing just that. 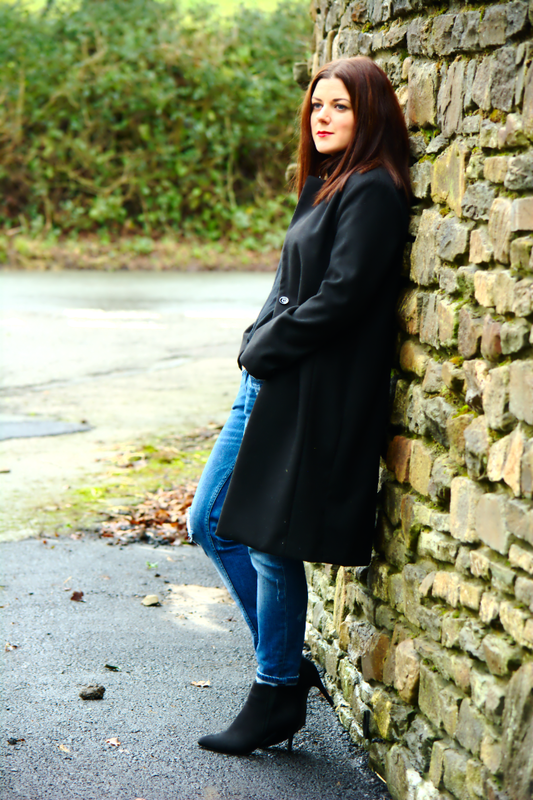 Oh and before I forget, if you do what I did and sign up to the Zalando newsletter you get £10 off your first order over £50.00 meaning the coat is even more of a complete and utter bargain! Do you own a classic Black Coat? Hi Rachel, The coat looks great, what is the sizing like? Love the simple line the coat has, it looks masculine in a chic way. That is the perfect black coat and those are the perfect distressed blue jeans and you have on the perfect black booties, too. 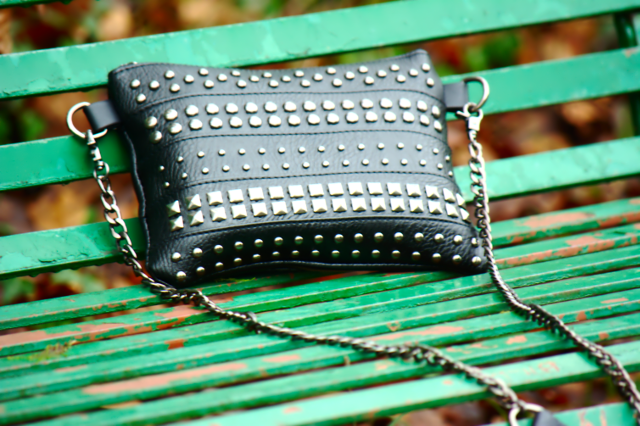 But my favorite thing is that adorable black studded cross-body bag – I love it. That is a gorgeous coat! I love the lighter lining inside. 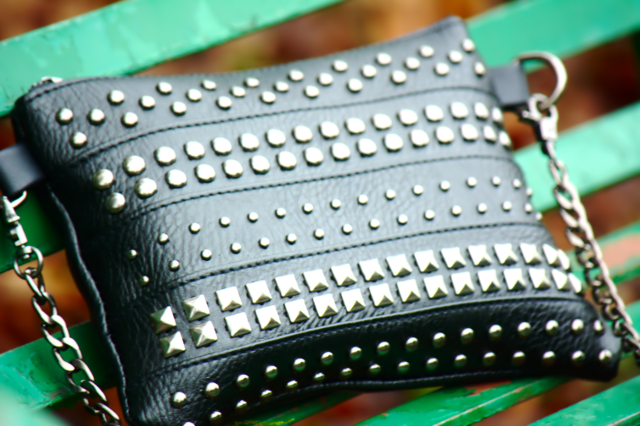 Great bag too!